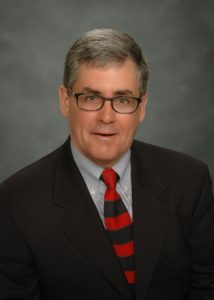 McLaughlin, who holds degrees in Biological Science and Chemical Engineering, brings over 27 years of experience in the rubber industry in sales, marketing and business development. Most recently, Jack was responsible for the Americas Butyl business at Lanxess as Business Director NAFTA and Global Key Account Director. He has also worked in the carbon black and custom compounding sectors of the rubber industry. In his new role, Jack’s mission is to develop and grow sales in the tire and non-tire markets for Butyl polymers for CPA. He will also be developing new products and markets for reprocessed elastomers produced by Goldsmith and Eggleton, the rubber manufacturing division of CPA. Jack will be based in the Akron, Ohio office. Channel Prime Alliance’s mission is to provide superior distribution, resale, and compounding services for plastic and elastomeric raw materials. CPA, one of the largest distribution companies in North America, provides a broad portfolio of commodity plastics, engineering resins, TPU, TPV, rubber polymers and master batches. CPA is well known for the comprehensive services they provide to their customers through a committed sales force and dedicated customer service staff.